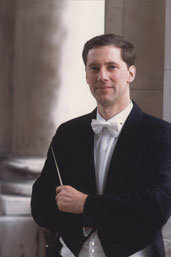 Robert King is widely acclaimed as one of the leading British conductors of his generation. For 36 years he has enjoyed a dynamic international career conducting world-famous orchestras, choirs and opera companies in an unusually varied range of repertoire spanning five centuries - from Rameau to Rossini, Vivaldi to Vaughan Williams, Bach to Beethoven, Handel to Howells, Fasch to Finzi, Purcell to Pärt, Gluck to Gubaidulina, Schütz to Saint-Saëns, Mozart to Mendelssohn and more besides. Robert King has conducted major symphony and chamber orchestras, choirs and opera in almost every European country, in North and South America and the Far East, and has made more than 100 CD recordings which have won many international awards. Robert King has also edited more than a hundred musical works for publication, and has written extensively on Baroque and Classical music, including a much-admired biography of the composer Henry Purcell. He has been artistic director of international music festivals in Britain, Germany and Sweden, has presented and written programmes for the BBC, and has worked on the soundtracks of a series of blockbuster Hollywood films. In 2016-17 Robert King and The King's Consort tour in Austria, Belgium, France, Germany, the Netherlands, Spain, Switzerland and the UK and record for VIVAT. Visit www.tkcworld.org for further details. Robert King has edited more than a hundred baroque and classical works. These high-quality performing editions, all available for sale, are used by choirs, soloists and orchestras, amateur and professional, across the world. Recently published by Oxford University Press are two volumes of English Church Music, containing nearly 100 of the finest examples of English sacred choral music from the last five centuries. See "Sheet Music" section for further details.